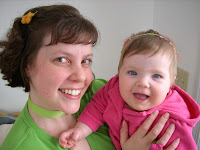 shannon: My name is Shannon, and I live on the beautiful coast of Maine with my wonderfully supportive husband. We have a very bright and creative 3 1/2 year old daughter, whom I affectionately call "little g". She is definitely a source of inspiration, and I am constantly amazed by her. It has been really fun to watch her grow and change...I can hardly believe she's almost 4 already! And we are all very excited to be expecting another baby in May. ﻿﻿﻿﻿﻿﻿I currently work full time at a local family-owned florist, which is a fun and creative job, but my creativity doesn't stop there. I spend my nights and weekends making things, and have two shops on Etsy: The Clever Kitty and The Curly Kitty. 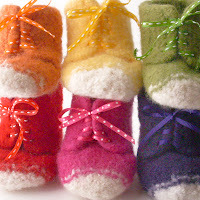 The Clever Kitty is my main shop and is full of colorful felt things, from baby shoes, to hair accessories, to jewelry. 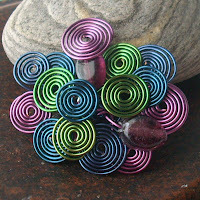 The Curly Kitty is my secondary shop that I opened to focus on my wire jewelry. shannon: When Gretchen approached me with the idea of putting together a digital magazine, I thought it was a fantastic idea. Together we brainstormed, and came up with the idea of a magazine that was geared towards families living, or looking to live, the handmade lifestyle. 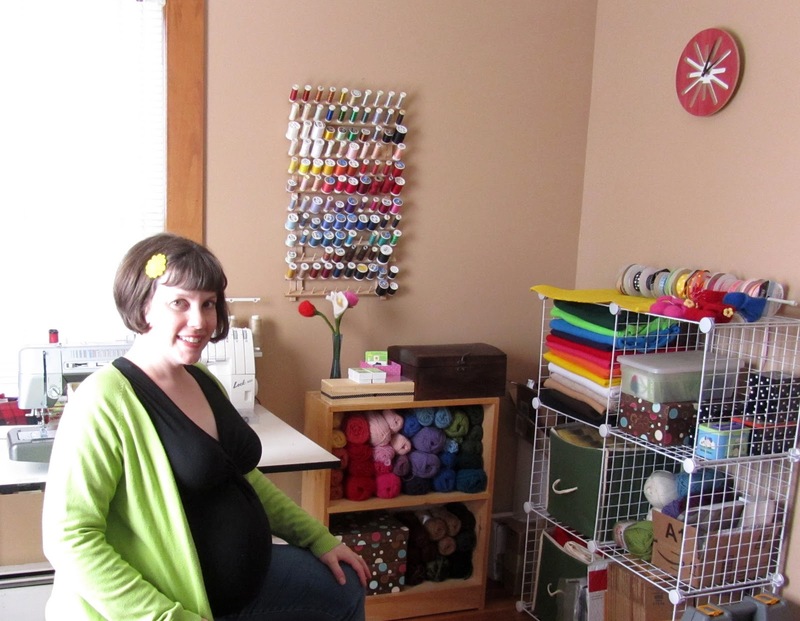 When we first started MHC, we had no idea where it would go, but I was very excited about the possibilities. shannon: For the past year and a half, Gretchen and I were the co-founders and co-editors for MHC. Gretchen has recently stepped down as co-editor, but I will persevere on as the Editor-in-Chief, which involves planning and editing content for both the magazine and blog, as well as doing the layout and design for the magazine. Through MHC, I hope to inspire people to take a step back from this fast-paced, mass-produced world we live in, and take the time to live a more hands-on life. I hope to encourage creativity and the DIY outlook on life, and that parents will pass these things on to their children. There are simple things that we can all do to include creativity in our everyday lives, and I hope that MHC will provide families with lots of ideas and inspiration to do so. I also hope to support and promote other creative individuals who are striving to provide a fresh alternative to the big box stores. I find working on MHC to be very rewarding. We've had such wonderful feedback from our readers. We've come so far since we started, and it has been so fun to watch MHC grow. It's definitely an adventure, and I am eager to see where we will go with it in the future. shannon: Gosh, I love them all so much – it's hard to pick just one! We have such a fantastic team of Editors and Contributors, and I am often in awe of their amazing ideas. I especially love the Create section, as it's full of so many fun projects to make. Of course, being pregnant, the Taste section has also been a favorite lately, and has had me craving all sorts of delicious things! shannon: I love living in a part of the world where there is a dramatic change of seasons, and there is certainly something I adore about each one of them. But I have always especially loved Autumn. There’s just something about that time of year – the vibrant colors of the trees, the crisp air, the crunch of fallen leaves under your feet – that I find so invigorating. I love it! mhc: And lastly, chocolate eggs or jelly beans? ﻿﻿shannon: Definitely chocolate eggs. Yum! 32 weeks pregnant with baby #2! I love the Modern Handmade Child! It's nice to meet you Shannon. #2 !! Congrats !! And that is the cleanest workspace EVER! I am so glad I met you!